Nontawat Numbenchapol was born in 1983 and grew up in Bangkok. He graduated from the Visual Communication Design Department, Faculty of Art and Design, Rangsit University. 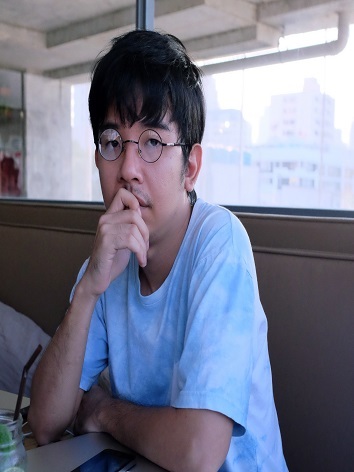 Numbenchapol is a Thai film director and television screenwriter, widely recognized for his documentary work. In 2013, he completed his first documentary film Boundary (2013), funded by Busan International Film Festival and Art Network Asia. Premiering in the Berlinale Forum, Boundary (2013) earned him the Young Filmmaker award from the Bangkok Critics Assembly. In the same year Numbenchapol completed his second documentary By The River (2013), the first Thai film to receive the Special Mention Award from the Locarno Festival. In 2016 he created a hybrid docu-fiction #BKKY (2016), premiering at the Busan International Film Festival before it received the Jury Award for best feature-length film from Lesbisch Schwule Filmtage Hamburg, Germany. Steve Chen is a film director, producer, and architect. He received his Master of Architecture from Princeton University, and has worked for a number of internationally recognized designers and taught at architecture schools. Chen′s first feature film, Dream Land (writer, director, producer) opened the Cineaste del Present section at the Locarno Festival 2015. He served as the producer and cinematographer and on Douglas Seok’s Cambodian drama Turn Left, Turn Right (Torino Film Festival 2016). In January 2014, he started the Cambodian production company Anti-Archive with filmmakers Davy Chou and Neang Kavich, which has produced Diamond Island (Cannes Critics’ Week 2016). Supatcha Thipsena was born on 12th June 1986, in Bangkok, Thailand. She started her career as a film writer and became managing editor of Bioscope Magazine, the leading Thai magazine covering Thai independent cinema and other trending international cinema. In 2013, she was an assistant curator of The Space Bangkok, a multi-media space curated by The SRK and supported by photographer James Nachtwey. In 2014, she became a general manager of Mosquito Films Distribution from Thailand, founded by the leading Thai independent filmmakers. From 2015 she also worked as a festival coordinator at Bangkok ASEAN Film Festival. Sorn is a 21-year-old heterosexual Shan boy living as an undocumented refugee in Chiang Mai, who escaped the ‘doi’ (mountain) with his little brother. Each day he performs the same monotonous ritual; he wakes up in the afternoon, eats wonton noodles at the local stall, works out at the gym, and lines up to a bell at the gay spa ‒ before performing sexual services for his customers. This job offers a material lifestyle he could otherwise never have, but Sorn feels stuck, invisible to the government and confined in physical and social mobility. To cope, Sorn projects himself in the lives of his clients during their in-bed conversations, where he imagines new identities for himself and hopes for a bright future. But with his Shan friends, Sorn confronts his past through flashbacks of his life on the doi in the Shan State between Myanmar and Thailand, where lived without free will, mandatorily conscripted into the military to fight the Burmese. His Shan friends eventually navigate their own pathways out of the doi boy life, but Sorn cannot find a way out. Throughout the story, Sorn pieces together his identity but only through the lives of others. Finally, no longer projecting to escape, Sorn learns to accept his present life, motivated by sacrifice and love, so his little brother can taste the freedom he himself will never experience.